Damon and Kai rendezvous in Mystic Falls. Watch The Vampire Diaries online now to find out what went down when their paths crossed in the woods! 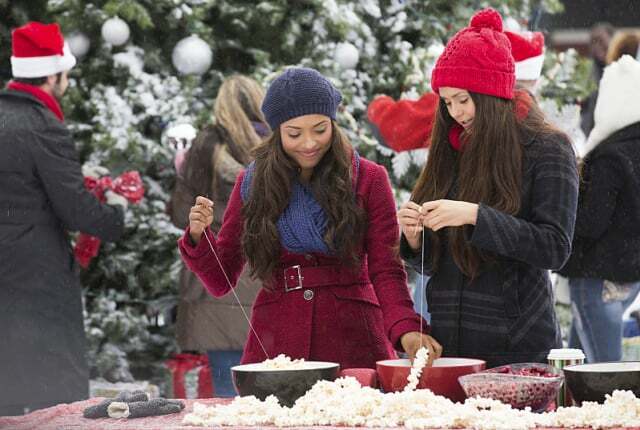 On The Vampire Diaries Season 6 Episode 10, Bonnie attempts to celebrate Christmas while trapped in the prison world. In the present day, Damon and Alaric learn that Jo is missing and work together to rescue her from Kai. He, however, is working with Luke and Liv who do not want to be tasked with merging. When Kai threatens Liv's life, Jo accepts her magic once again and decides she'll attempt to beat Kai in a merge ceremony. Damon tells Alaric to kill Kai, but Jo tells Alaric to keep him alive. Watch The Vampire Diaries online to find out what happens when Alaric listens to Jo instead of Damon. Jeremy and Matt hunt Enzo in order to kill him as revenge for the deaths of Tripp and Sarah. They lure him to a cellar with the promise of information about the real Sarah Salvatore. Once they have him trapped, Matt decides he needs to be tortured before dying. Jeremy advises against this, but Matt doesn't listen. While decorating Caroline's dorm room for the holidays, Sherrif Forbes collapses. She and Stefan take Liz to the hospital where doctors run tests and determine she has cancer. Stefan breaks the news to Caroline and comforts her in the waiting room. Ready to celebrate the holidays with our favorite ex-Mystic Falls residents? Read on for a recap of all the action from The Vampire Diaries Season 6 Episode 10.